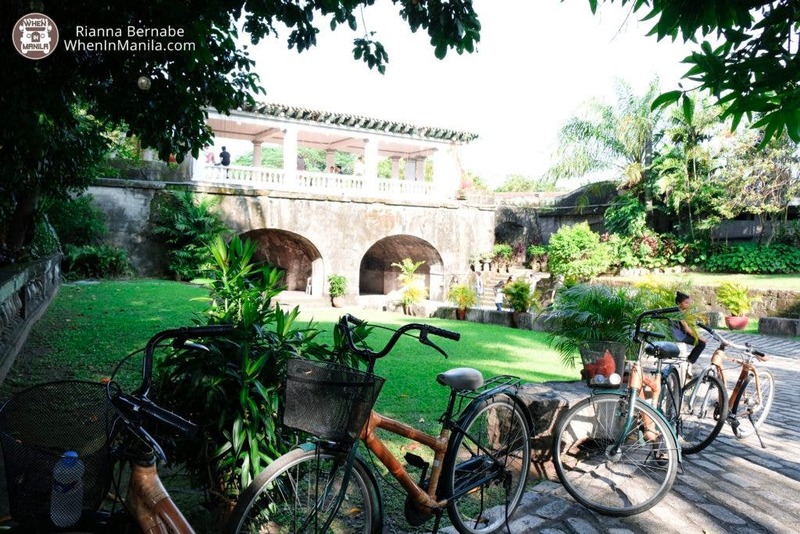 Touring Intramuros evokes a feeling of going back in time to the Spanish Era. By walking the streets of the walled city of Manila, you can get an idea of how our revolutionary heroes lived during that time. Jose Rizal, for example, studied at the old Ateneo and was imprisoned in Fort Santiago. However, in this day and age, we’re used to the convenience of transportation. The distances our heroes walked in their everyday life sounds so tedious now. We’re always in a hurry so roaming the whole of Intramuros by foot seems like such a hassle. Good thing there are options inside Intramuros. You can ride a bamboo bike with Bambike Ecotours! 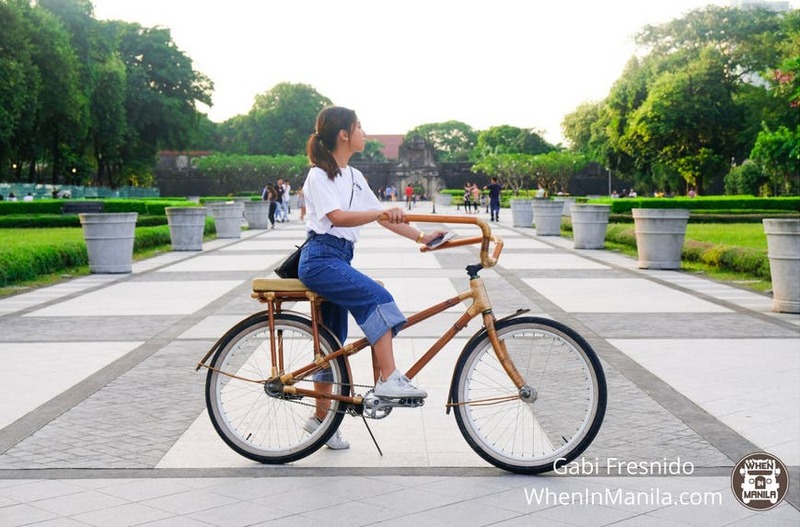 Bambike offers guided bike tours inside Intramuros. They let you choose from their array of hand-made bamboo bicycles. Not only will you be able to explore the walled city by riding a bike because you will also be able to learn more about the history throughout the tour. They brought us to some interesting spots and even gave us a few fun facts regarding each stop. Our guide, Russell, was the one responsible for bringing us around the walled city. He gave us explanations regarding the places we went to and pointed out interesting details that you wouldn’t usually notice on your own. Since I mentioned Rizal earlier, here are the steps he took on his way to his execution at Bagumbayan. They start from his prison cell in Fort Santiago. ALSO READ: LOOK: Experience Filipino History in Cool Virtual Reality at this Museum for Only P150! Another thing I also like about the tour is that they give you time to explore the historical spots on your own. No need to hurry when taking photos! As someone who loves riding a bike but is afraid of getting run over by a car, this tour is perfect because the guides make sure all of us are safe and there is a feeling of camaraderie within the group. Plus, this tour is better for the environment since you get to lessen your carbon footprint by riding their bamboo bikes. Bamboo is a highly renewable source, making it the greenest material to use. As I mentioned earlier, their bamboo bikes are hand-made. Bambike promotes sustainable building practices and employs people from the community of Gawad Kalinga, an organization that works to bring an end to poverty. They also reinvest in the community by sponsoring projects that help the community. Their Bambuilders are provided with full and part-time jobs with benefits. Want to know more about the historical spots of Intramuros? Check out Bambike Ecotours so they can bring you there! Also, if you prefer to tour on your own but still want to use their bamboo bikes, you can rent them instead!